In March 2008, Jean Ziegler was elected Member of the UN Human Rights Council Advisory Committee. 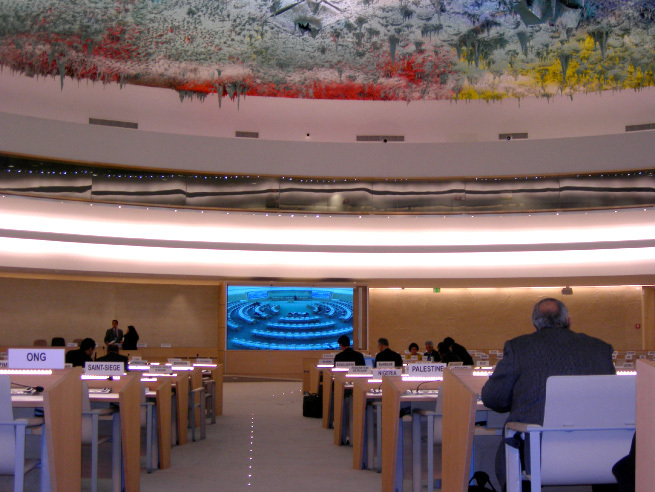 One year later, the Human Rights Council decided, by acclamation, to re-elect Jean Ziegler to the Committee, a post he held until September 2012; he served as the forum’s Vice-President for two terms. In September 2013, Jean Ziegler was elected to the Advisory Committee for a new period of three years. Established in 2007, the Human Rights Council Advisory Committee is composed of 18 experts and serves as the think-tank of the Council. The Human Rights Council is the UN’s inter-governmental mechanism tasked with the promotion and protection of all human rights around the globe. Jean Ziegler participated actively in the drafting of recommendation 2/7 on the right to food adopted by the Committee at its second session, in January 2009. In the context of the food crisis, the Advisory Committee recommends that the Human Rights Council consider taking a number of measures including to limit price volatility and ensure market stability and consider re-establishing international buffer stocks to stabilize the price of food commodities. The recommendation also entailed provisions on agricultural subsidies of developed states, on bioenergy technologies that use staple foods, on international trade agreements and their impact on the right to food. 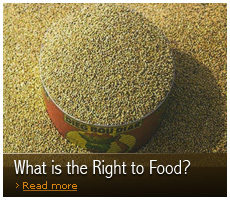 In its resolution 10/12 of 26 March 2009, the Human Rights Council mandated the Advisory Committee to undertake a Study on Discrimination in the context of the right to food. A drafting group on the right to food, consisting of José Bengoa Cabello, Chinsung Chung, Latif Hüseynov, Jean Ziegler and Mona Zulficar was established to work on the Study. In August 2009, during the third session of the Advisory Committee, Jean Ziegler presented two studies – “The Tragedy of Noma” and “Peasant Farmers and the Right to Food: a History of Discrimination and Exploitation” – intended to serve as background papers for the Study on discrimination in the context of the right to food. 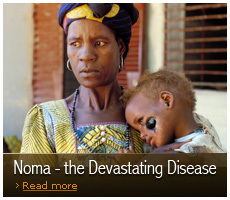 The first background study dealt with Noma, a disease that affects preponderantly malnourished children living in conditions of extreme poverty. The second background paper focuses on peasants and the ways they are discriminated and exploited in many parts of the world. The drafting group on the right to food presented the Preliminary Study on discrimination in the context of the right to food during the forth session of the Advisory Committee, in January 2010; after extensive consultations with states, international organizations and UN specialized agencies, NGOs and national human rights institutions, the Study on discrimination in the context of the right to food was finalized and endorsed by the Advisory Committee during its sixth session in January 2011. The food crisis, the economic crisis and the environmental crisis have deepened already existing inequalities between the world’s regions and the vulnerability of the poorest members of developing countries. In 2009, for the first time in history, more than 1 billion people were undernourished worldwide. The people most vulnerable to hunger and malnutrition include people working in rural areas, the urban poor, women, children, refugees, indigenous people, disabled people, the elderly and other minorities. Most of these people are hungry because they suffer from many forms of discrimination. - Study of the HRCAC on Discrimination in the context of the right to food, para 85. 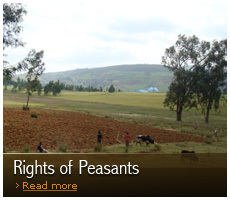 Peasants and other people working in rural areas. Jean Ziegler and the team of researchers supporting his mandate – Ioana Cismas and Christophe Golay – took the lead of drafting two of these studies: the Study of the Human Rights Council Advisory Committee on severe malnutrition and childhood diseases with children affected by noma as an example and the Final study of the Human Rights Council Advisory Committee on the advancement of the rights of peasants and other people working in rural areas. Both these studies have finalized, endorsed by the Advisory Committee at its eighth session in 2012 and submitted to the attention of the Human Rights Council. The research and consultation process of the first study can be found under Noma – The Devastating Disease and developments concerning the second study can be consulted under Rights of Peasants.